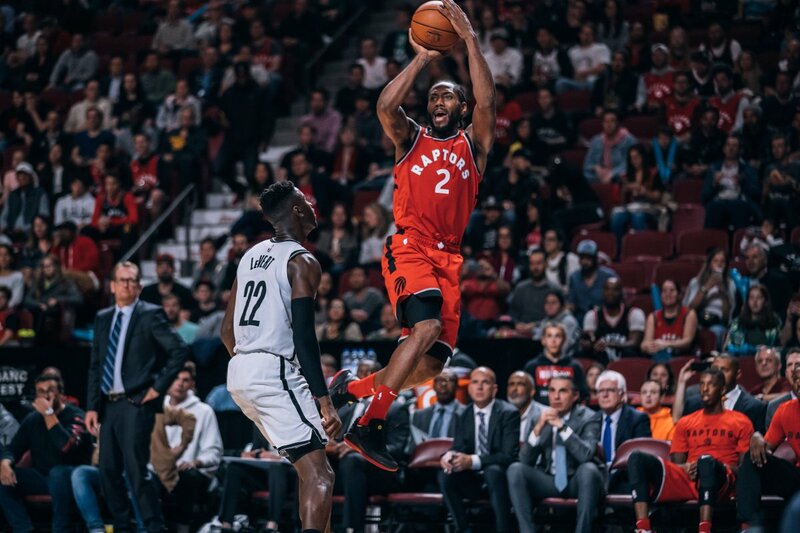 The Toronto Raptors defeated the Brooklyn Nets at the Bell Centre in Montreal by a score of 118-91 on Wednesday night. Danny Green led the Raptors in scoring with 22 points, Jonas Valanciunas and Serge Ibaka chipped in with 11 and 13 points respectively. Toronto got off to a slow start, allowing 29 points in the first quarter, then turned up the heat in the second and third quarters, scoring 35 points in each, while only allowing 11 points from Brooklyn in the third. Kawhi Leonard continued to impress on both ends of the floor, ending up with seven boards and seven assists to go along with his 11 points. OG Anunoby played his first game this pre-season and showed his improvement from the experience he gained during the Summer League. Kawhi and OG connected for a nice play in the third quarter, as Leonard slipped a pass through to Anunoby who finished with a reverse slam. Kyle Lowry was ejected in the third quarter after receiving a double technical, which originally stemmed from getting called for an offensive foul. If the Raptors want to finish at or near the top of the Eastern Conference, they need to play all 48 minutes of basketball, instead of trying to understand their opponent in the first quarter and climbing back from a deficit every time. Toronto’s final pre-season game is on Thursday night against the New Orleans Pelicans at Smoothie King Center.